The London of 1421 is a sprawling city of about twenty thousand men, women, and children. It is the biggest and richest city on the island of Great Britain, and it is all because of the Thames. The Thames River, now thoroughly explored and tamed within its artificial banks, brings commerce and food to the town and carries waste away. London is only fifty kilometers from the ocean, and the tides swell and drain the Thames perceptibly. Most of the town has been drained and converted into small farms, but there are still some unhealthy tidal marshes in the low areas. There is only one bridge across the Thames, the stone masterpiece known as London Bridge. By this time it was already three hundred years old, and it is so strong and large that people have built houses on it. There are farms and tenement buildings everywhere. Few buildings reach higher than four stories high, as the stairs become too difficult to navigate. There are no construction laws, so the buildings all lean against each other. But for all that they are made of good, sturdy construction. The half-timber houses are dry and well insulated, especially now that chimneys have been invented. The forests around the city have receded, though, and firewood must now be purchased from a vendor. Livestock is common, and many homes in downtown London keep chickens, pigs, sheep, and cattle. Horses and oxen are also common as beasts of burden, and of course there are dogs and cats everywhere. The rich live in stone houses, but the poor are still inhabiting the same wattle-and-daub cottages that they have for a thousand years. No matter what, they all travel together on the muddy roads. Only the most important thoroughfares are paved, and all the roads are coated in a layer of indescribable muck. London sits at the center of a comfortable empire, as its predominance in Europe begins to take shape. Far from the defensive posture of the Romans and the Saxons, medieval London is a comfortable and sprawling presence on the English countryside. The ancient walls still exist, but the houses are now built on both sides of it and sometimes incorporate it into their structure. Ships from all over the world travel up the Thames to sell their wares, and the hills and dales behind the city oblige them by providing wool, food, tin, copper, and other trade goods. The Age of Discovery is about to begin, and London will become one of the first links between Europe and America. Right now the port greets ships from Denmark, Austria, Greece, Morocco, and points even further distant. The King of England lives in Westminster, just upstream on the Thames, within easy walking distance of town. But King Henry is away from the city right now, pursuing a war of conquest in faraway France. There is peace in Wales and peace with the tribesmen of Scotland. London is a thriving city in a green and pleasant land, and all is right with the world. It is from moments such as these that we can trace through history to see what England would become. 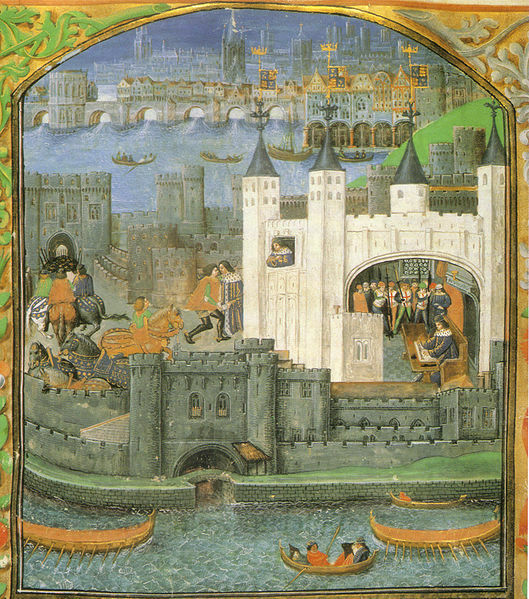 Medieval London was energetic, industrious, and stable. It proved to be fertile soil for an empire. The history of London museum is the best place to explore further London’s historic past. Dan Taylor is a travel writer that discovered the history of London in the middle-ages while staying at the K-West hotel in London.